Browsing Category: Tumbler Cup Displaying 1-8 of 8 Found. $9.99 When your strength is failing, our Be Strong Christian Insulated Tumbler reminds you to find your strength in the Lord. 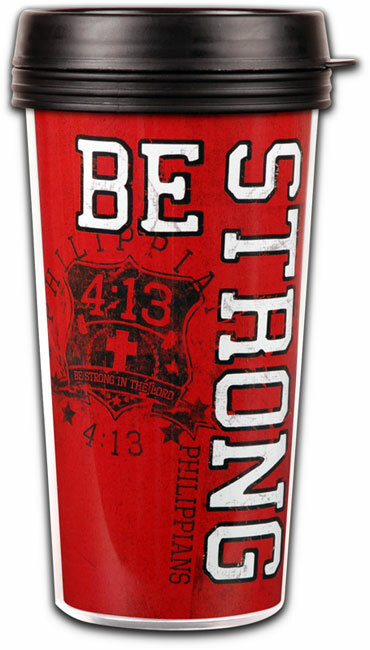 This tumblers theme is based on Philippians 4:13 "I can do all things through Christ who strengthens me". $9.99 You'll love the Chocolate Insulated Tumbler, not only will it keep your favorite beverage the right temperature you'll be able to share God's greatest gifts with others. 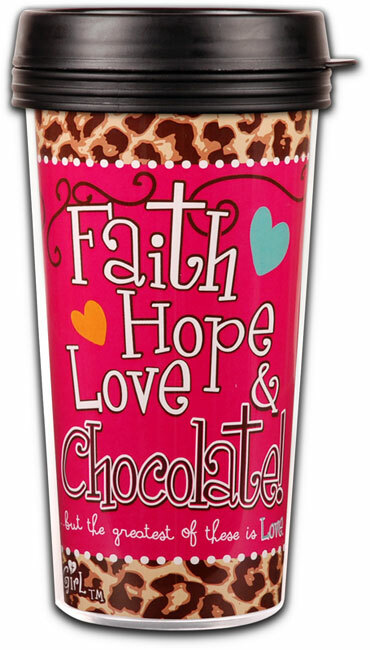 This fun tumbler is based on 1 Corinthians 13:13 "Three things will last foreverfaith, hope, and loveand the greatest of these is love". 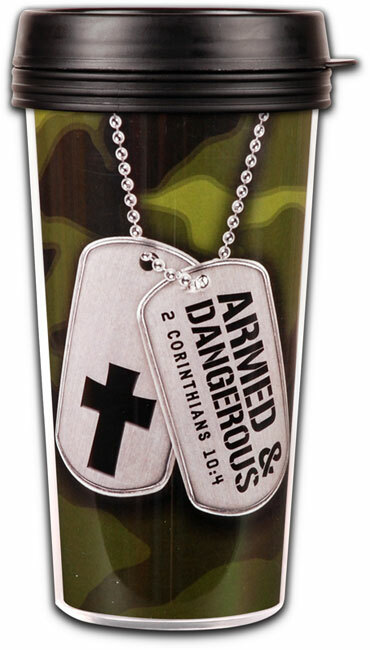 $9.99 Our Dogtags Christian Insulated tumbler is a cool camo print with the words Armed and Dangerous printed on the tags. We are armed with the weapons listed in 2 Corinthians 10:4 "The weapons we fight with are not the weapons of the world. On the contrary, they have divine power to demolish strongholds". 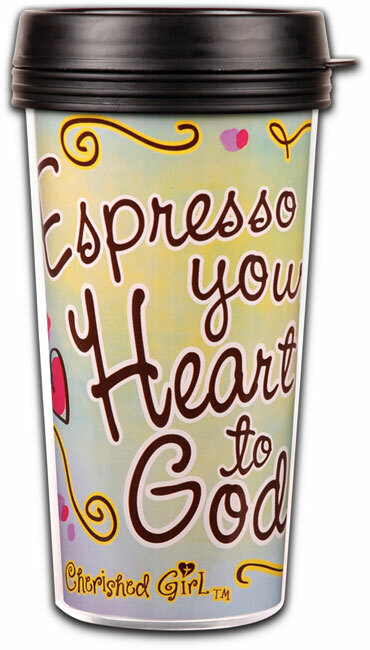 $9.99 Put your favorite coffee drink in our Espresso Christian Insulated Tumbler. Based on Jeremiah 29:12 "In those days when you pray, I will listen" this tumbler encourages us to bring everything to God. 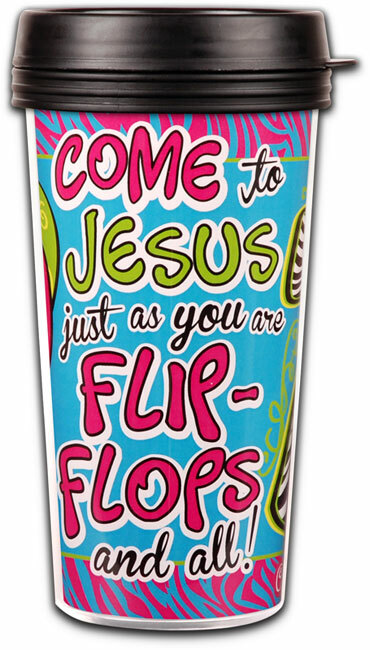 $9.99 Sometimes it's good to have a reminder that we can come to Jesus as we are, our Flip Flops Christian Women's Insulated Tumbler says just that. This quirky tumbler is based on Mark 2:17 "On hearing this, Jesus said to them, It is not the healthy who need a doctor, but the sick. I have not come to call the righteous, but sinners". 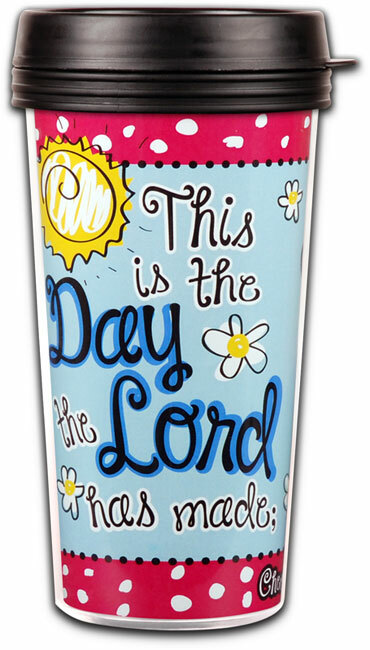 $9.99 No matter what kind of day you are having, our This Is The Day Christian Women's Insulated Tumbler will remind you to be glad. We can be glad because of what it says in Psalm 118:24 "This is the day the Lord has made. We will rejoice and be glad in it". 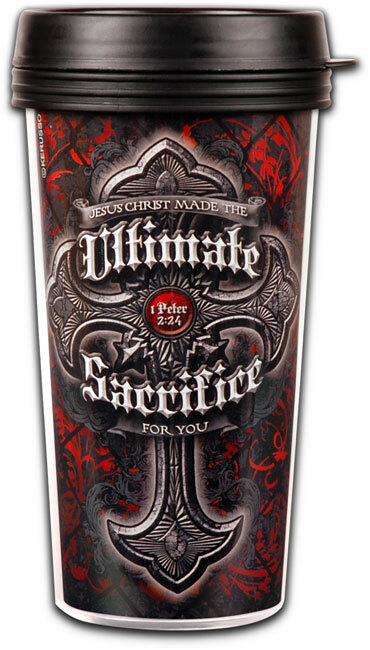 $9.99 The Ultimate Sacrifice Insulated Tumbler is a reference to the price that Christ paid for us on the cross. The back of the tumbler has Isaiah 53:5 written out to serve as a daily reminder "But he was pierced for our transgressions, he was crushed for our iniquities; the punishment that brought us peace was upon him, and by his wounds we are healed". 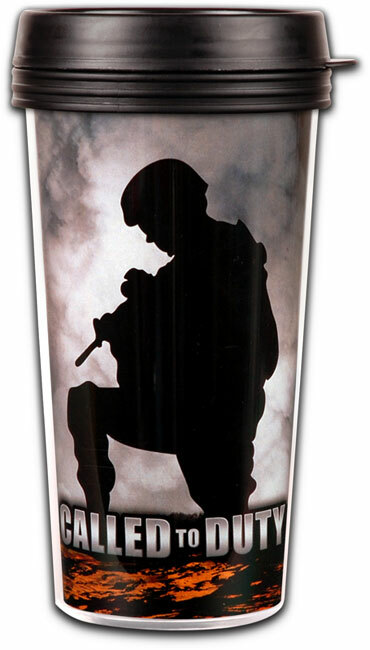 $9.99 Our Weapons Christian Men's Insulated Tumbler is from our Called to Duty series. The weapons for battle are shown in 2 Corinthians 10:4 "The weapons we fight with are not the weapons of the world. On the contrary, they have divine power to demolish strongholds".